Berlin Graffiti - Two Hall of Fames you dont want to miss! After a 5 day trip to Berlin, we didn't want to leave without painting some graffiti. That is why we've visited two legal graffiti walls and reviewed them, like we did before, when we did a trip to London. Beside the good food habits of the Germans, Berlin offers much more - especially on the cultural side. Museums are almost on every street corner, together with pop up stores, food from all corners of the world. You could visit massive shopping malls, or you could just sit back in the park and enjoy the people passing by. And oh man, the sticker art community is massive. 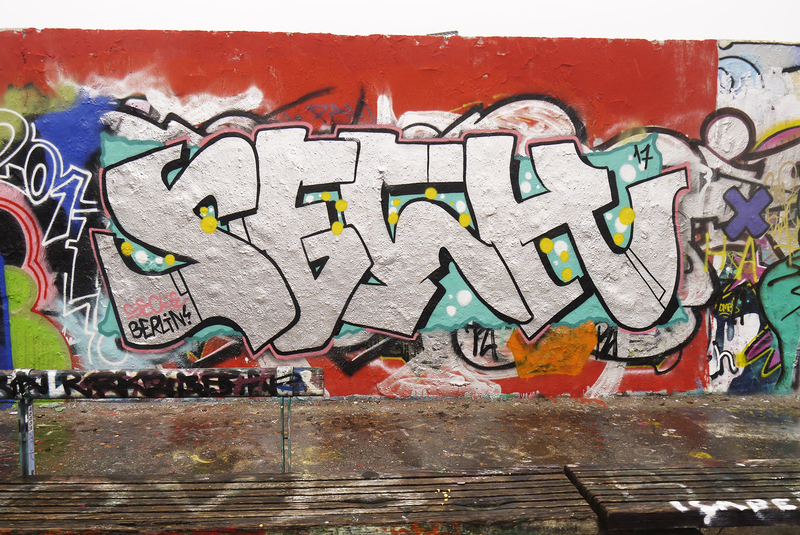 And also a big thanks to Legacy BLN to grand us access to the second wall. Their shop in the Yorkstrasse is also worth checking out for sure! The first wall we got to was the Hall of Fame next the Stadium, in the Mauerpark. Super chill spot, and good for approx. a 200m long wall. The overall quality of the work isn't super high, so you don't have to bother much while crossing someone. Wall quality is all right. Little bumps here and there, but that doesn't matter on a distance. We painted on a Thursday, and we didn't get bothered by anyone. WARNING: Please note that the side facing the park is legal, the side facing the Stadium isn't! A little more to the south (approx. 10 minutes by car), located in the Park Am Gleisdreieck, is the Legacy BLN wall. This wall is only paintable with permission from the Legacy BLN Graffiti Shop, located at the Yorkstraße nearby. When you ask for permission you will get a card, which you have to show when the park managers pass by. This way the quality of the work and the overall wall is kept the same, which is better than Mauerpark. But still, didn't see any mindblowing work.